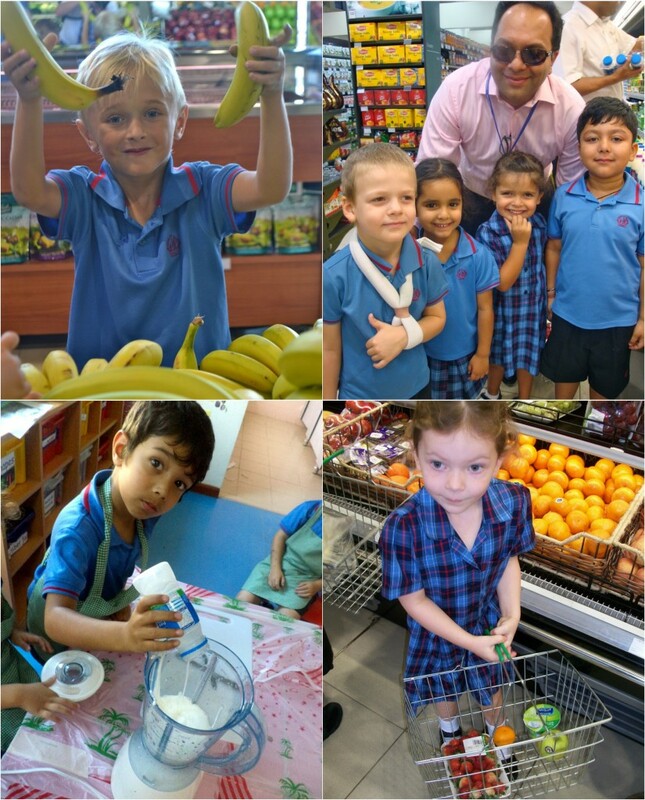 On Monday 28, Tuesday 29 and Wednesday 30 October, all Reception children visited Waitrose in the Nakheel Centre to buy ingredients for a fruit smoothie. The children set off with their shopping lists and Dinars, crossed the road safely and entered the supermarket where they selected all the best fruit, yoghurt, juice and honey. After paying for their ingredients, all the children took their change, thanked the cashier and headed back to school. Once back in the classrooms, there was a frenzy of chopping and blending before the final tasting session – yum! We would like to thank all the mums who joined us and the very kind and helpful staff of Waitrose who hosted our trip with such enthusiasm.